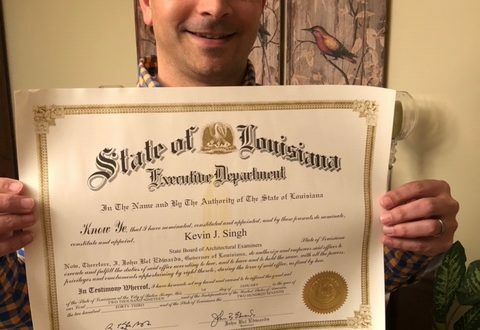 Kevin Singh was appointed to the State Board of Architectural Examiners by Governor John Bel Edwards. Singh is a registered architect and associate professor of architecture at Louisiana Tech University. As required by statute, he will serve as an architect employed full time in architectural education. 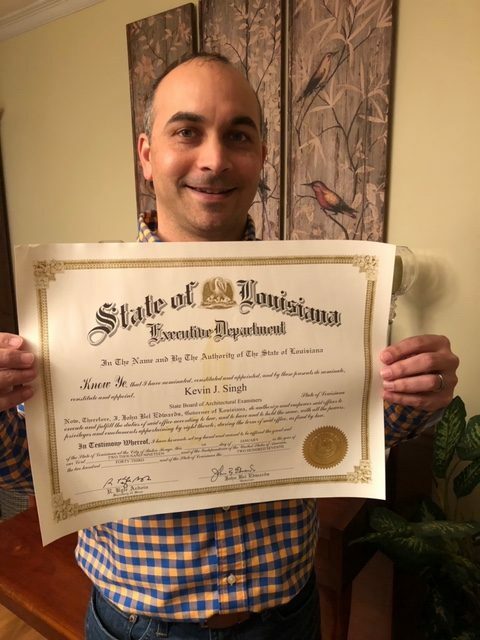 The State Board of Architectural Examiners is responsible for granting licenses and regulating the practice of architecture in the state of Louisiana.